Jeff Cannata has been working in the tech and entertainment field since the young age of 14, when he parlayed a Bay Area creative writing award into a job at the Contra Costa Times newspapers, reviewing computer and video games in a weekly syndicated column. His column even embraced the pre-Internet world of online interaction with a feature called Cannata ON-Line, which allowed readers to submit questions by dialing into a homebrew bulletin board service. Jeff's column continued until he moved to Santa Barbara to attend UCSB, where he earned a BFA in Theatre, graduating with Honors. 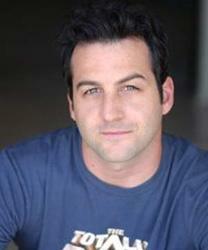 As an actor and comedian in Los Angeles, Jeff has built a resume that illustrates range and versatility. On television, he has had recurring roles on soaps like The Bold and the Beautiful, General Hospital, and The Young and the Restless, as well as family fare like Nickelodeon's Just for Kicks. His numerous national and regional commercials include products as varied as Coors Light, Coldwell Banker, Disney, and the Apple iPhone. Jeff also has extensive stage credits, performing seasons with the Texas and Nevada Shakespeare Festivals, The Will Geer Theatricum Botanicum, and northern California's Theatreworks, where he won a Dean Goodman Award for the role of Chris in Arthur Miller's All My Sons. Jeff performs live comedy as well, producing and starring in The Returning Champs , an improvisational comedy troupe that has appeared at venues such as Hollywood's IO West and Santa Monica's Westside Eclectic for over 3 years. Recently, The Returning Champs were the featured closing night act in the LA Comedy Festival. On the web, Jeff's sketch comedy group, Very Angry Neighbors are approaching four million first-time hits, releasing videos on web portals such as YouTube, Super Deluxe, Funny or Die and others. Very Angry Neighbors was also named "YouTube Star of Month" and "YouTube Star of the Moment" by G4 Network. Other honors include YouTube's Most viewed, Top Rated, Most Discussed, Most Linked, Top Favorites and #1 Comedy. YouTube has featured VAN's videos as the Editor's top comedy pick, and Panasonic awarded the group 1st prize as "Best Comedy" on the site. As co-creator and host of the wildly successful net talk show, The Totally Rad Show, Jeff has become a recognized web personality and an authority on movies, video games, television, and comics for the hundreds of thousands of fans who watch the show each month. TRS has been honored with Webby and Podcast awards, and was called "the best weekly video podcast - period" by Wired Magazine.